RECKLESS hoons are leaving a mark on our streets and putting children and families in danger as they walk to and from school. 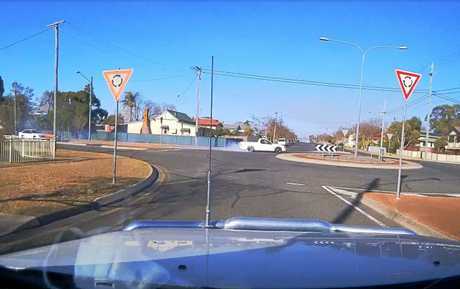 Dashcam footage captured by residents on Tuesday shows a white ute screeching through the roundabout on Percy and Wantley Sts in Warwick with smoking tyres. 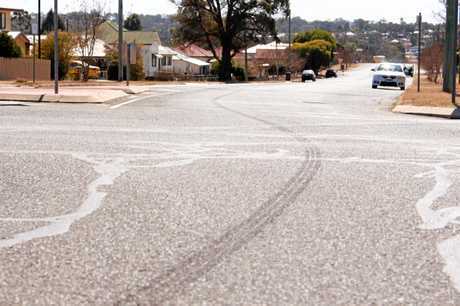 Percy St resident Ben McDonald said it was the second time this week hoons had made a "drag strip" of his neighbourhood, which was home to a number of families with young children. 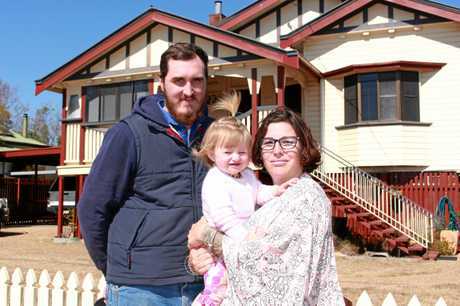 "I am scared if something happens to one of the four houses there, three of them have young families in them." Mr McDonald moved to Percy St to settle down and start a young family two years ago. Since then he has witnessed a number of reckless driving offences where people do burn-outs or career through the roundabout at speeds of up to 90 kilometres per hour. "You can hear them. They stop up the street and then start revving the guts out of their cars and then they just take off and go flying through the roundabouts," Mr McDonald said. Eyewitness John Russell said he was shocked at the "stupidity" he captured on camera when driving along Percy St.
"They had their back brakes locked... you can see all the black marks on the road still," he said. "If the car had have grabbed, it could have taken off into any of the houses." Warwick Police Sergeant Shane Reid said reckless driving was a common offence that put both motorists and pedestrians in danger. Mr McDonald said the streets were commonly used by children walking to and from school, and hoons seemed to choose these particular hours to offend. "It sets a bad example for the kids as well, to see them driving like that," he said. Formerly a young "yahoo" himself, Mr McDonald had a close call when going too fast around a corner that made him "wake up to himself." 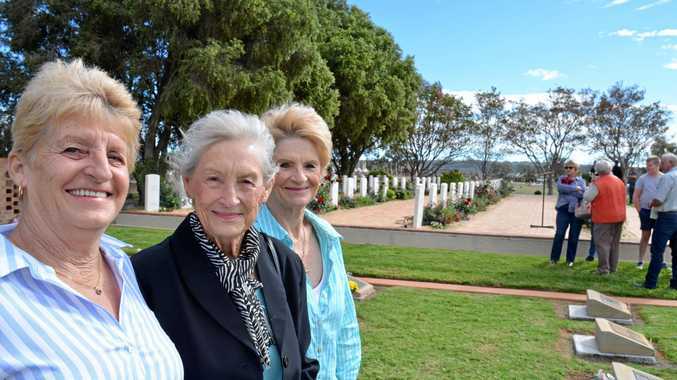 "I realised I could seriously hurt myself or someone else," he said. "I think it is just teenage boys being teenage boys, trying to prove a point. "They watch all these car shows and movies and that's what they do around the street but don't realise it's not real." Sgt Reid said hoons were often repeat offenders who targeted particular locations like certain roundabouts and the entrance to the Warwick Waste Facility. "It is quite a regular thing. In Warwick you quite often find there is a link to people driving. They might be under the influence of alcohol or drugs, they may be unlicensed or have a traffic history," he said. Sgt Reid said more severe penalties applied to people with multiple offences and could result in vehicles being seized and impounded or forfeited to the state. "Contact Policelink and report anything you see that you believe could be reckless driving," he said. "We task based on the intelligence we receive in the place and focus our patrols on that area and try and locate those offenders."